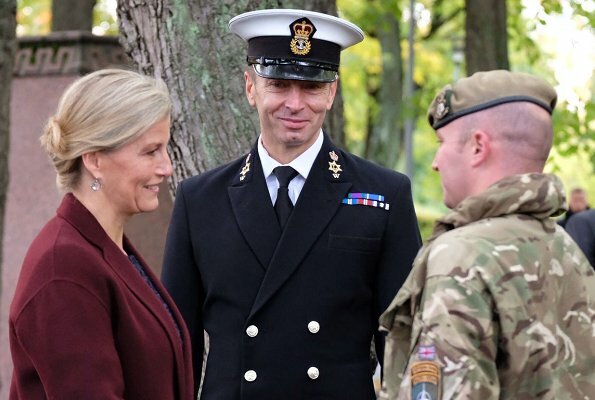 On the second day of their visit to Estonia, the Earl and Countess of Wessex lays a wreath in remembrance of the British Royal Navy Soldiers who lost their lives in the conflict – an intervention that played a key role in Estonia’s independence. The Earl and Countess also met British Soldiers from the Yorkshire Regiment who are currently based in Tapa. 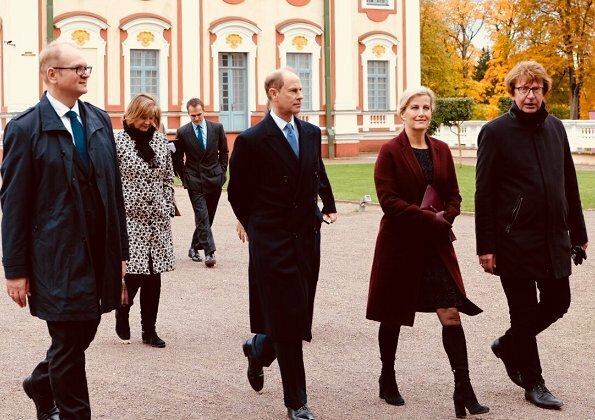 Then, The Earl and Countess visited the Tallinn English College. 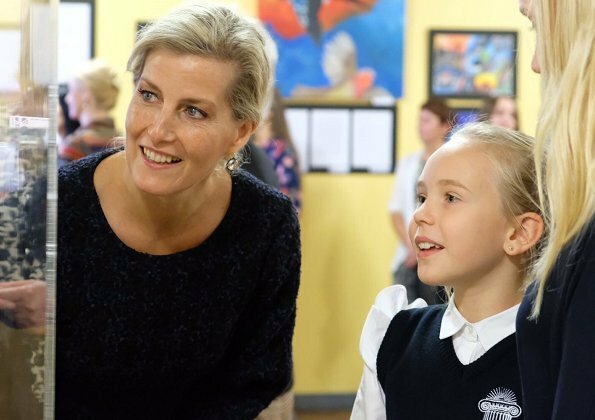 The Earl of Essex and his wife are true ambassadors for Her Majesty Queen Elizabeth.Sophie is always a hard worker. Her black boots are ok, but Sophie used to have her hair styled more modern a couple of years ago. This updo ages her and its not polished enough for official engagements. While I am glad she does not pull it back tightly like Victoria, I do agree that almost always wearing it up does age her. On the rare occasion it is down and styled, Sophie looks wonderful. Love the boots here. 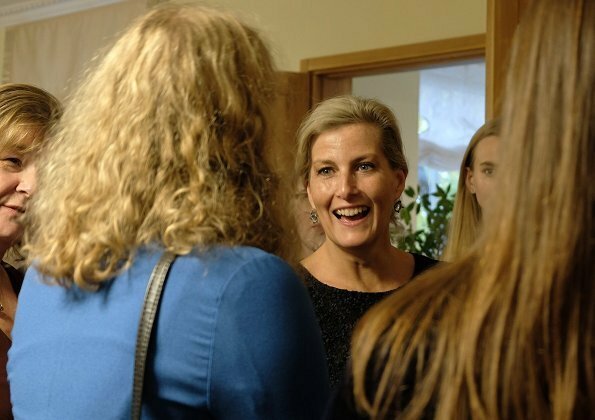 In the evening they attended a reception at the British ambassador's residence. Sophie wore her hair down and styled in such a lovely way, so nice!